Gary Sterne was a co-founder of Armour and Skirmish, a couple of magazines about military intervention. 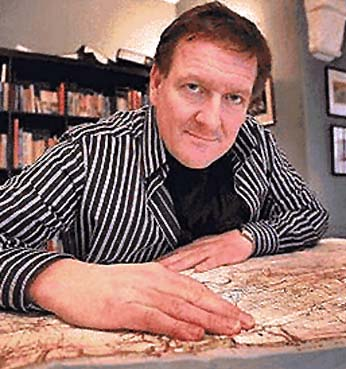 An avid collector, Gary wound up finding a map which enticed Gary to try to buy the land represented by that map, to verify the contents. Once upon the actual land, Gary soon discovered some hidden history about World War 2 that has never been discussed in public - a cover-up regarding the planned points of attack at Omaha Beach. A gun battery called Pointe du Hoc, in Normandy, France, was shown to never have had guns, and countless men suffered from what seems to have been a bogus mission - that for many, did not end well. 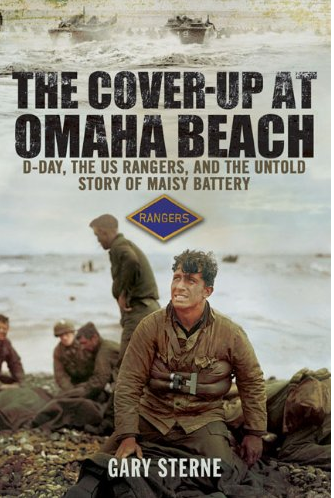 Gary's research skills are in full force here as he delivers the story of how he came to write a must-have addition to anyone that thinks they know the full story of D-Day and the US Rangers; The Cover-up At Omaha Beach. Absolutey brilliant book …. I am astounded that nobody has done a film about this yet. It is the BIGGEST D-day mystery of them all, and it involves the US Rangers! Superb - I can't recommend it enough !